Who Really Needs a Dash Cam? Dash-mounted cameras have been around for decades, but it’s only recently that they have exploded into the public consciousness. Once relegated to police cars and the dashboards of professional paranoiacs and conspiracy theorists, these devices are now everywhere—or at least you could be forgiven for coming to that conclusion after spending a few hours on YouTube. Part of that is due to the fact that dash cams really are ubiquitous in places like Russia, where insurance fraud and police corruption are commonplace, but the fact is that they can come in handy just about anywhere. The question is, do you actually need one or are dash cams just one more passing fad? If you’re a conscientious, responsible driver, then you might be inclined to ask, “Why should I buy a dash cam?” After all, you’ve never been in an accident, and even if you ever were in an accident, there’s no way you’d be at fault. Of course, the rub is that you don’t have to worry about your own competence when you’re on the road. That’s a known quantity. The unknown quantity, which you do have to worry about, is the other guy. You’ve probably heard the term “defensive driving,” which refers to a style of driving that involves constant vigilance against the unsafe behaviors of other drivers. 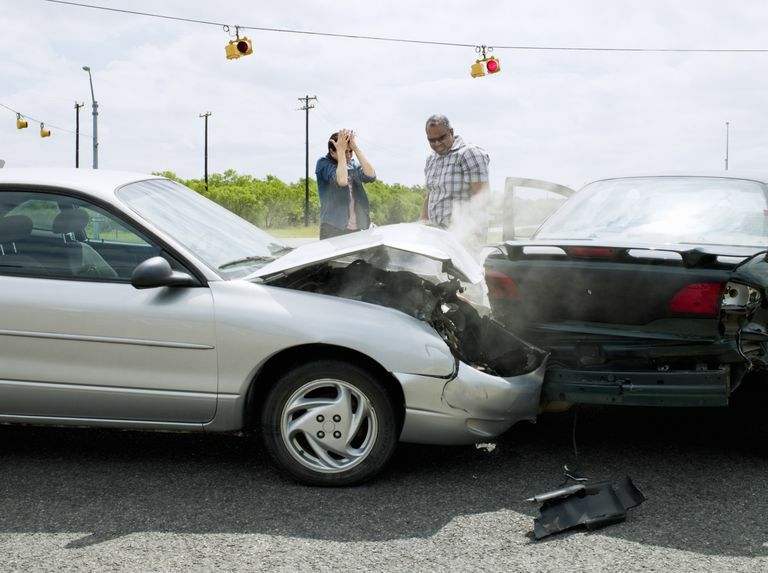 The theory is that if you’re on the lookout for aggression, mistakes, and other issues with other drivers on the road, you can take corrective action and keep yourself out of trouble. None of that would be necessary if every driver on the road was as safe and conscientious as you are, but the fact is that there are some pretty lousy drivers out there. The main reason to get a dash cam follows the same basic logic as defensive driving. Even if you follow all the rules of the road, and even if you drive defensively, it’s extremely likely that you’ll eventually run into someone who isn’t doing those things. Or, more likely, he will run into you. And at that point, a whole laundry list of things can go catastrophically wrong, and there’s very little that you can do to mitigate the situation. Luckily, the way dash cameras work can cut off a lot of problem situations at the pass. Think about some of the dash cam videos that you’ve seen, both on the Internet and elsewhere, and consider the sources. When you do this, a few patterns start to emerge, one of this relates to the source of the footage. Although you can find dash camera footage from innumerable sources, a lot of it comes from two places: police dash cams, and (civilian) Russian dash cams. So, what do those two sources have in common? The simple answer is accountability and safety. Police have used dash cameras during traffic stops for decades to ensure the safety of both the officers and the people who they pull over, but the footage can also help increase the accountability of the officers in question. The recent proliferation of dash cam footage from places like Russia tells a similar story, in which drivers want to ensure their own safety and ensure accountability from other drivers. In particular, this type of footage can prevent insurance fraud, help fight corruption from law enforcement, and prevent cases of “he said, she said,” after an accident. Beyond the ability to prove your innocence in a traffic altercation, some types of dash cameras offer functionality that extends beyond your daily commute. For instance, some dash cameras have a parking function that you can switch on (or that switches on automatically) when you park your car. In most cases, this will cause the camera to record anything that happens in front of it while you are away, which can catch evidence of hit-and-run accidents. Other cameras include inward-facing cameras that can also catch evidence of theft, in case someone breaks into your car. Dual-camera units are sometimes also designed to monitor the driving habits of teens, which can be helpful to worried parents. These cameras record all of the front-facing action on the road, just like a normal dash cam, but they also record the interior of the vehicle at the same time. If the driver happens to look away from the road to fiddle with the radio, apply makeup, or anything else, it will be caught on tape. Another feature that is sometimes found in these same units is GPS mapping. A lot of dash cameras include built-in GPS functionality already, which allows them to bake GPS coordinates into a timestamp on the video, and that is sometimes extended into a memory that can provide you with a history of where your car has been, and when it was there. Worried that your kid might have “borrowed” the car without permission, or that a valet may have pulled a Ferris Bueller with your new convertible? This type of dash cam will catch them red-handed.